Here we are again. Another season. Another time of taking down decorations only to put up different decorations. We’re approaching another end to yet another year. It’s another time for reflection of the months we passed through and another chance to make plans and dreams for an unknown future. While New Years isn’t quite here yet, I’ve already made my first decision about what I won’t be doing in 2013. I won’t be blogging anymore. I started Garden Gal in July of 2008. It soon transitioned to In the Land of Wood, which then became In the Land of Ridd. This will be my 265th post. It will also be my final post…at least on this particular blog. In the 4 years I’ve been in bloggie land I’ve had 12, 333 views. My busiest day was on December 10, 2010 when 82 people clicked on my little slice of the internet to view the first installment of Ridd Quicks. If you’ve been one of the loyal “followers” of my blog, then you would know that this year has been my least blogged-about year yet. And that’s pretty much the main reason I’m wrapping this season of my life on the Internet up. OK – I know there are boatloads of mommas out in the blogosphere who choose to spend their time writing a blog. So, I know that it’s possible. But, it really just isn’t a priority for me anymore. For instance, I have thoroughly enjoyed the amount of reading I’ve done this year. For a glimpse, check out my 2012 Book List at the top of the page. I truly believe that is the most books I have read in one year since I gave birth to my first child!! I’m pretty sure if I wasn’t reading those books, I would have been doing more blogging. I just can not do both. Hubs and I are still on a journey to becoming foster care parents and I am very hopeful that 2013 will be the year this happens. The time to carve out for blog writing gets yet another bump in the downward direction once that happens. I miss certain things that I’d love to take up again. Things like crosstitching, letter writing (not on a computer, like, real letter writing…), playing my piano, continuing to figure out how to take a good picture on a point-and-shoot camera without using a flash. You know, really important things! I hate email. Know what happens the more you blog? You get even MORE email!! You get the idea. I am well aware that an explanation for ending a blog is not necessary. So, consider this post more essential for me than for you, the reader. Just taking some time to process life stuff as we enter another December. So, good-bye dear blog. Maybe the Internet will see my writing again. 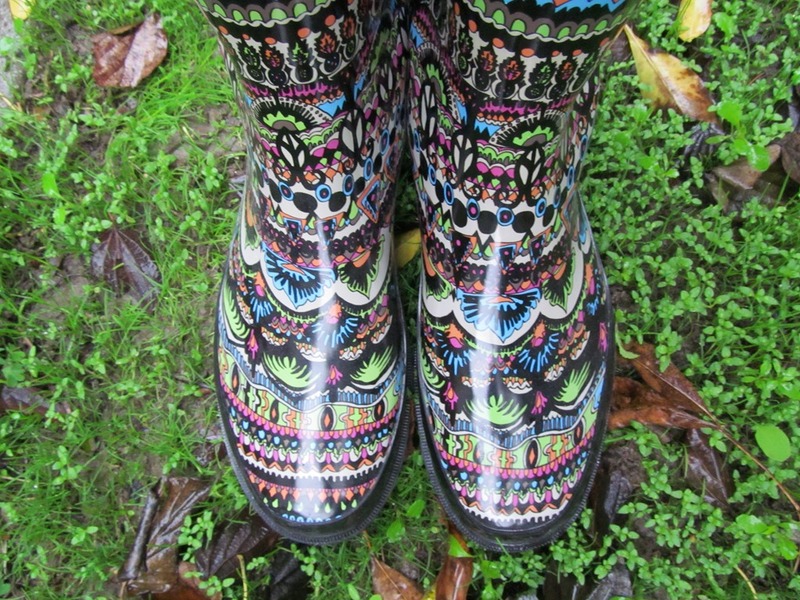 And yes, those are my new rain boots in the picture. And yes, I love them! The temperature has dropped and the leaves are turning in color. Jackets are pulled out of closets and pants have replaced shorts. Nothing shouts “It’s Fall!” to me more so than chicken soup. I wrote about chicken soup awhile ago so I thought it fitting to repost. This post was originally written on March 7, 2011. About 3 times a year we travel to visit my in-laws for a few days. To make it easy on everyone, we all typically eat out for dinner, except on the first night of our stay. It’s been a long drive and everyone’s a bit tired, so my mother-in-law, Jane, makes a simple dinner in. Sometimes it’s lasagna, other times it’s pizza. The last few times we’ve been down she made us chicken soup, probably because of how much I rave about how yummy it is! I finally remembered to ask her for the recipe and I’ve since made it several times. It’s October…actually, it’s been October for several weeks now, I’m just starting to finally accept that Halloween will soon be on my doorstep, whether I like it or not. Don’t get me wrong; I was most definitely all for getting dressed up and roaming the streets for candy and laughs – when I was a child. I’m not a child anymore, at least so says my body. I’m all for laughing, but I have to be with some really good friends to get all dressed up in a costume of any kind these days and frankly, if it’s dark out, roaming the streets just isn’t my thing anymore. Unfortunately, all of that IS the very thing my two little cherubs LOVE to do on a day like Halloween. In fact, they love to do it the very SECOND they catch wind that October 1st has finally arrived. I was able to hold them off for awhile a few years ago but now that one of them goes to school and can actually read means he’s very aware of what day – and holiday – it is. Back to October. Being that it’s the month of costumes and candy, that means something is usually required from the mother of the home to provide any children in her household with a costume. Hubs are I are pretty cheap when it comes to stuff like this; I’m usually looking at $10 or less for a costume. I realize there are all kinds of ways to make a costume on the cheap, but unless my boys want to be “hobos” every year, then that’s about as far as my crafting / imagination skills are gonna go. So thank-you WalMart and Target for giving my kiddos the cheap but creative costumes. It’s been nearly a year since my last Ridd Quicks; an update is highly overdue!! Summer. For some reason I’m still stuck on Summer. 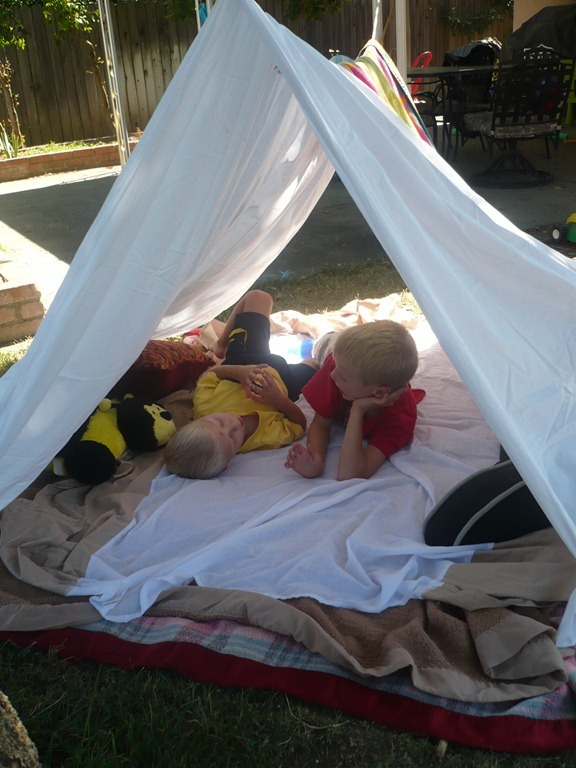 I had so many great plans in the works for the boys and I, mostly with the help of a gazillion Pinterest ideas that would help me utilize my backyard with items like plastic sheeting, bed sheets or pool noodles. Tried the tent. It worked, sort of…but it didn’t help that it was HOT and the tent wasn’t entirely in the shade. Got some pool noodles, but all they ended up being used for was something the boys could hit each other with. The one thing that seemed the most successful was slime. I suggest white glue over clear glue, but either way, it’s still an activity that helps keep my guys busy at the kitchen table while I’m getting dinner ready. 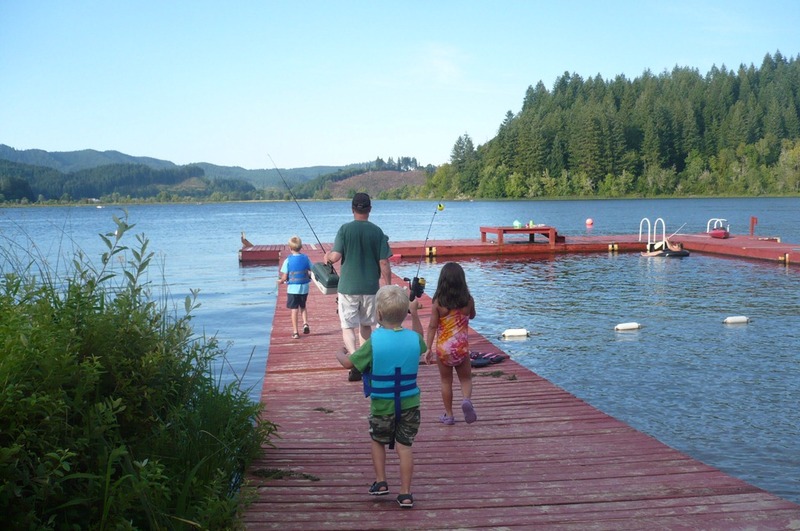 So while we did have some fun over the summer, like a great camping trip with family in Oregon, it was also a very frustrating summer. I battled migraines throughout most of it and along with the migraines came fun things like nausea, vomiting, the works. I figured it was all due to the hormonal funk that I’ve been in for 2 years now. But I was getting the headaches so often that we decided to do further testing. Thankfully nothing was found to explain why I was suffering from them. I did begin to see a pattern in them, though. They would typically start in the overnight hours, which would mean there might be something in the house that was affecting me. Our 45-year-old house still had original windows in it and we thought there may be a level of toxic mold that was affecting me. All that to say, we got new windows! And so far, I’ve only had a few minor headaches, but nothing like the migraine or associated nausea. Want to know when Land of Ridd posts something new? Enter your email address to subscribe!